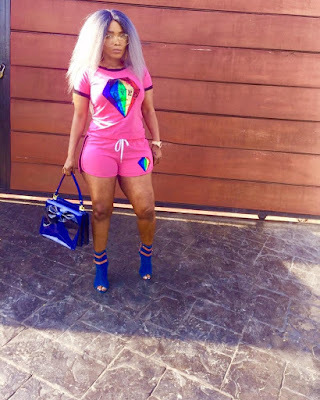 Nollywood's Halima Abubakar flaunts weightloss results- Says I can never slim down for any man! 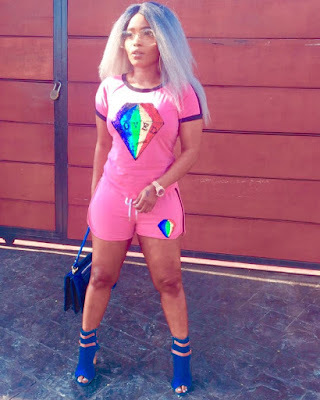 Popular Nollywood actress, Halima Abubakar, has shed some weight and apparently she loves her new physique. However, from some comments on her Instagram page, it appears that not all her fans are in love with her new looks. “A man can never make me slim down. A woman should lose weight when it is necessary, especially for her health’s sake. I feel it is the business of those that are bashing me because I am trying to be healthy for myself and not for anybody. I do not care what they are saying about (my) losing weight or not. “They do not expect me to be ‘thick’ forever, do they? I recently started this weight loss regimen about a month ago. I reduced what I ate and I was able to achieve this weight loss. “Now I eat a lot of vegetables and take a lot of juice; everything I eat has to be nurturing. I used to love pounded yam, but I stopped eating all that. Now I prefer to take carrots. Also, I was on a ketogenic diet, it worked for me but it is not for everybody,” she said. She further revealed that she had hopes of giving love a shot, hinting that there was currently a man in her life. “There is someone in my life that I am ‘looking at’ but let’s see how it goes. I don’t know when the wedding bells would ring. The person is not in the movie industry; I cannot date someone in the entertainment industry. We should not be doing the same thing; I have always said this,” Abubakar said. The year 2017 is one that the actress would not forget in a hurry as she underwent a major surgery to remove fibroid. She explained to Saturday Beat that after getting a new lease of life, some things changed about her. “I am calmer and dedicated to my craft. I recently premiered my movie, ‘Blood battle,’ which would be in the cinema soon. There is a record label that I consult for and there are many things that I am into and people should be grateful to God for my life. “I cannot go into music. I used to have the voice but a lot of Ogbono soup has taken it away. The state has been kind to me and that is what matters. I worked with the foundation of the First Lady of Kogi State and she was there for me at the lowest point in my life. The state has been very kind to me and I thank the state governor for that,” she said. The actress turned farmer told Saturday Beat that she was still involved in farming; but sadly, she noted that it was recently affected by flood. “My farming business is still there but I am not the one farming there. The rainy season will soon be over so we thank God because the crops are growing.